Oginga Carr is a Certified High Performance Coach, author, national seminar leader, organizational structure expert and consultant. He brings 20 years of experience in Sales, Management, and Human Resources. He has worked in the telecommunications, flooring, and print industries. Oginga is also a serial entrepreneur and has served as a magazine publisher, radio show host, TV show host, Executive Director of a non-profit foundation and many other capacities. He has trained tens of thousands of business leaders in 49 states. What is the success recipe to accomplish your dreams? Why did you become a Certified High Performance Coach? What is the difference between peak Performance and High Performance? 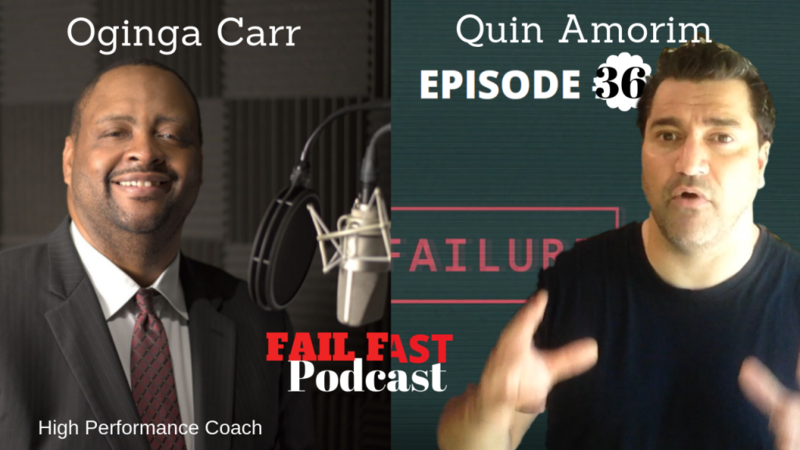 How did failure influence your business? Your life? If I was stuck working on a project, and couldn’t move it forward, how would you help them? Why is influence so important in our business and our lives? Team Crushing it is crushing goals and timelines.